"Something over a year before the bootcamp I finished my high school studies and I decided to jump into the working environment rather than continuing my studies at a university. I worked as an advisor in electronics retail. During this time I have realised that I would like to dive into programming. At the bootcamp it was not always fun and games but it was also a lot of hard work and sometimes pushing beyond limits. I had days where I was coding for 12-15 hours in a day, but there were also days when we had a lot of fun and went out for a beer. Other students were really great and we made a great team together. I feel that we became friends there and we often spent our weekends together. We have also received a great support for job hunting, including the preparation for interviews. Meeting several company partners opened doors for some of us and others found job opportunities through StartupJobs or elsewhere. A lot of us were even receiving offers 3-4 weeks before the end of the bootcamp, which was really encouraging. A big thank you goes to all who stand behind the Coding Bootcamp Praha as they have changed my life and helped me do what I love and make a living from it." 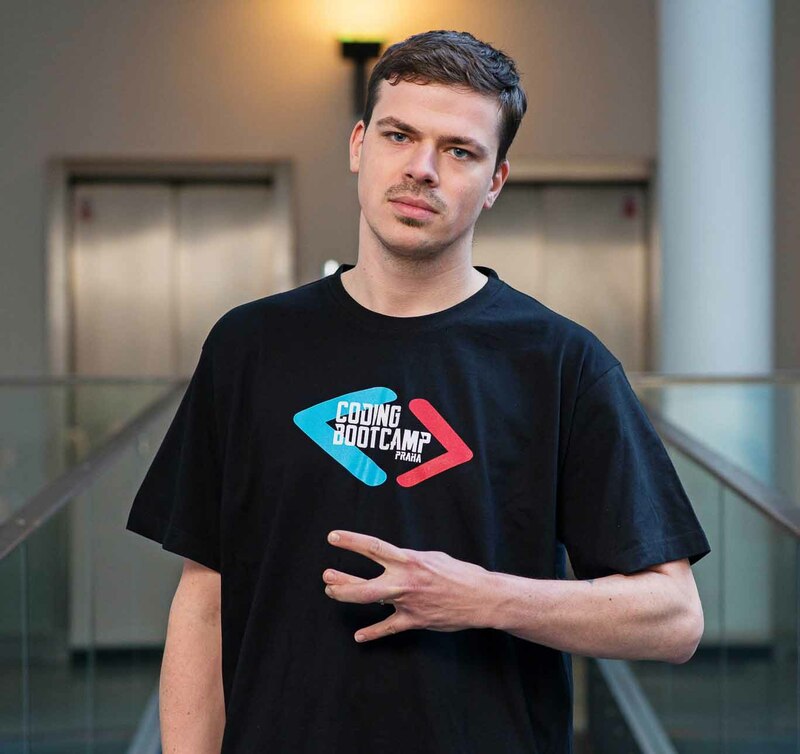 "The bootcamp enabled me to do what I love"
"I came to this bootcamp without even knowing what the difference between front-end and back-end was, and ended up being able to develop a complete and functional web page. The pace is really quick, and it is sometimes hard to keep up, but even though it is difficult, it is possible. It also has the perfect balance between theory and practice, since every two weeks they held a hackathon that helped us practice the topics we had seen so far. The instructors and everyone at Data4You are extremely nice and helpful. My favourite part of the bootcamp was learning programming next to the wonderful people I got to share this experience with. The job support is great, I learned how to create a proper CV and LinkedIn account, and actually got a job with one of the company partners that arrived to the Demo day. 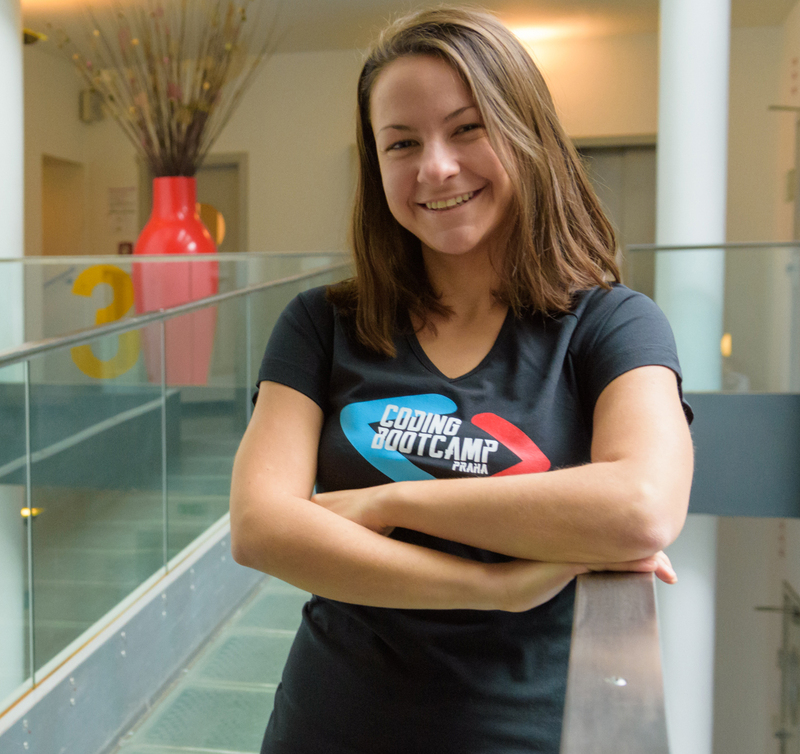 I couldn’t be happier with my job now, and I owe it to this awesome bootcamp." "The instructors and everyone at Data4You are extremely nice and helpful." "Before joining the programme I was a real estate agent in an agency called RE/MAX. I have always been interested in the tech world, startups, business and I have always wanted to create something on my own, however, those ideas always crashed on the technological solution. With the support of my friends and closest family members, I decided to take a part in the Coding Bootcamp Praha, which definitely changed my life really soon. The whole experience was just amazing! Instructors were incredibly helpful, friendly, and open-minded guys, always there for us and ready to help. All the new skills we immediately used in the projects we did. I got my current job just because of my LinkedIn profile, which all of us consulted with the HR guys during individual meetings and HR workshops. Big thanks to you guys! I started my new job 9 days after the Demo Day! At my new job I am also happy that I already got used to working in the Agile/Scrum way during the bootcamp because I use that every day. My advice? If you want to change your life situation, do not be scared and book your place as soon as possible. I highly recommend this opportunity." "We immediatelly used all the new skills we learnt"
"I am a 26 year old girl who has a bachelors degree from sociology and social policy. And I decided to start with programming. I found out about the Coding Bootcamp Prague. And I did apply. Best decision in my life :) They teach the most important programming concepts and advanced tools but also basic design rules, how to organize yourself and your work and how to get a job. 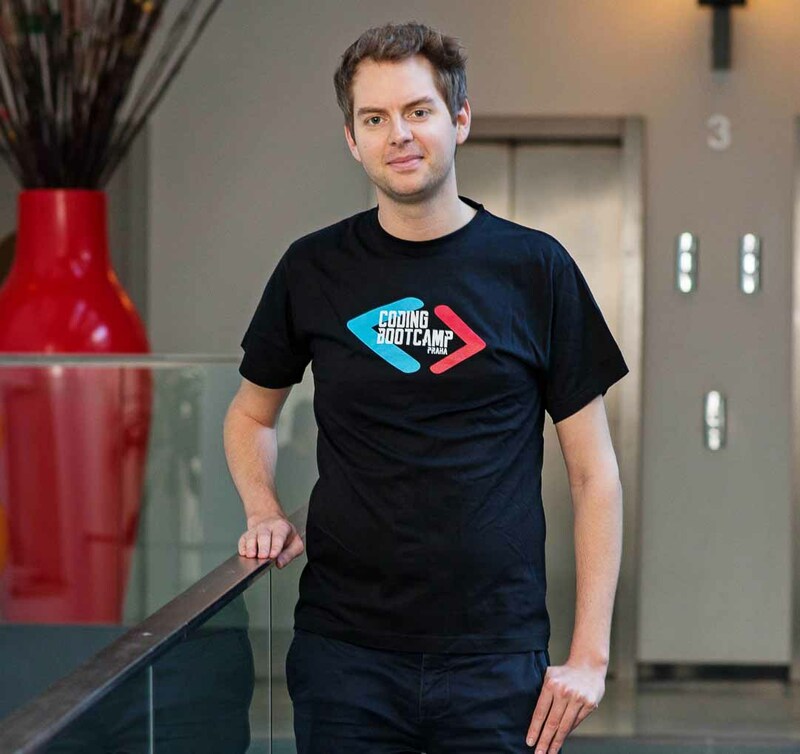 I knew only the very basics of HTML, CSS and PHP and now, after only three-month course I work as a front-end developer at one of the best known start-ups in Czech Republic. The course was well-organized. We did learn a lot from theory, but also had enough practice. They were there for us, but did not force us to do anything. I did study also outside of the classroom so I could follow as the course was really intense. We had loads of fun both inside and outside of the classroom. Lectors were amazing, helpful, smart and funny, not too serious, which I appreciate. They are really great at what they are doing and can actually teach. Jana is a great leader and everything went smoothly, we even had chance to meet recruiters for the IT, who helped us to prepare for the interviews and to create the best CV we could. We had several one to one talks with Jana about our on-line professional profiles and how to put ourselves out there on the market. Thanks for that!" "The instructors were amazing, helpful, smart and funny. This three months long course changed my life!" "I am glad that I could be part of such an inspirational collective which has always pushed me to get the best out of me. This quarter was very challenging in a way. I have never experienced such an intensive training and study in my life (not even in university but that's probably because my field of study sucked baaad). But I have to say that it was worth it - I learned many new things and I assured myself that programming is what I want to do in future. At this point I'd like to send big thanks to the whole BC team and all the lecturers. You are awesome! I had so much fun during all the lessons and I loved it. I'd like to thank you all guys once again. Last three months were BLAST and basically changed my life. You guys rock! Loved the time we've spent together and miss you already!" 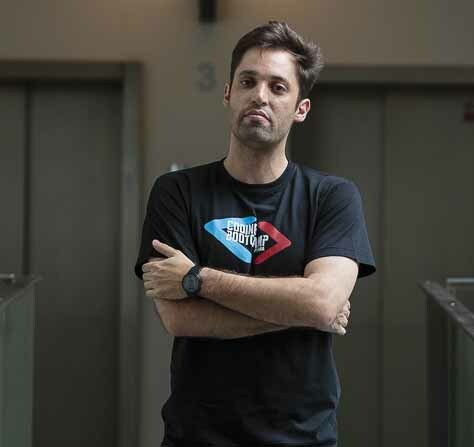 "The collective always pushed to get the best out of me"
"The hackathons, exams and the final project pushed me to do my best"
"If you ask me if it's easy? No it's not, you have to dedicate yourself 110%, study a lot at night and in the weekends to be successful but in the end you will get rewarded. I came from a marketing background and i always had the passion for coding and tech, so i began self-learning. Once you hit a road block you need someone experienced to help through and teach through real life examples. That's what i did and it was the best decision of my life leave my country and go to Prague. I really love the city and have moved there to proceed my new career as a Front End Developer, and made some new "brothers" along the way. I really tried to get the most of the teachers, that most of them have 15+ years of experience and are there for you if you need them (they even help me now when i get in touch with them). After this, coding turned kind of an addiction and i code every day even now that i'm on holidays. The Bootcamp really booted me to embrace my new field of work and i'm more confident than ever that i will land a awesome job in a field i love. So don't hesitate if you are really into coding." "Sometimes in the life you must start from zero and for me this Bootcamp was the best way to do it." "Before joining the bootcamp I lived in London, which I liked but was working jobs I was not really happy with. 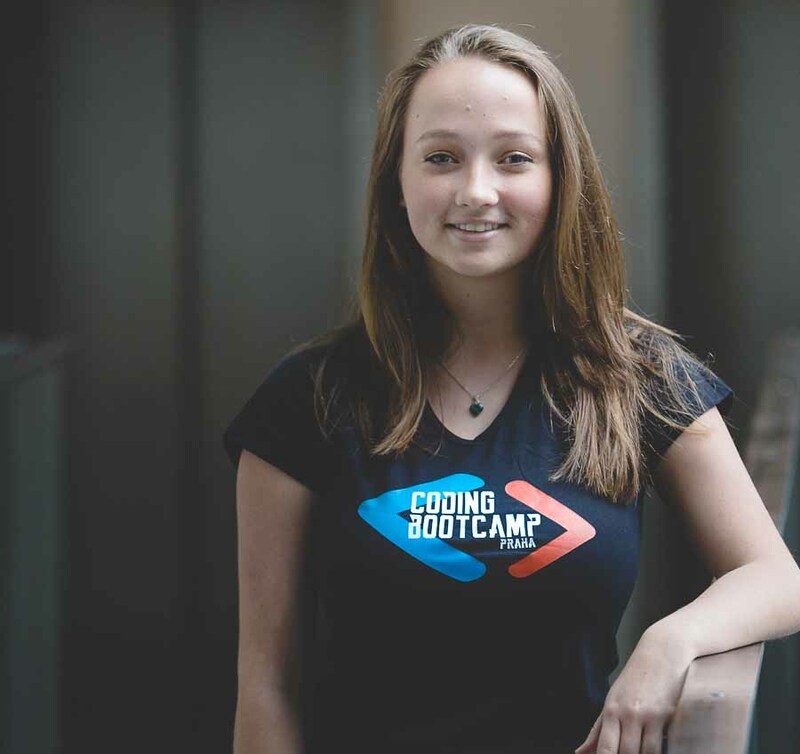 When I found out about the Coding Bootcamp Praha I was happy because it was an opportunity to come back home and immediately start my career. Bootcamp is great for learning as well as for bringing people together. I felt all the students and instructors got very close together during the bootcamp and everything was just easier in a friendly surrounding. I think my favourite part were the hackatons. It was really fun, it made me feel really competitive, cooperative, excited, and just pushed me to do my best. At the end of the day after reviewing all solutions, all advice (and a couple of beers :) ) I felt happy after a flourishing day. 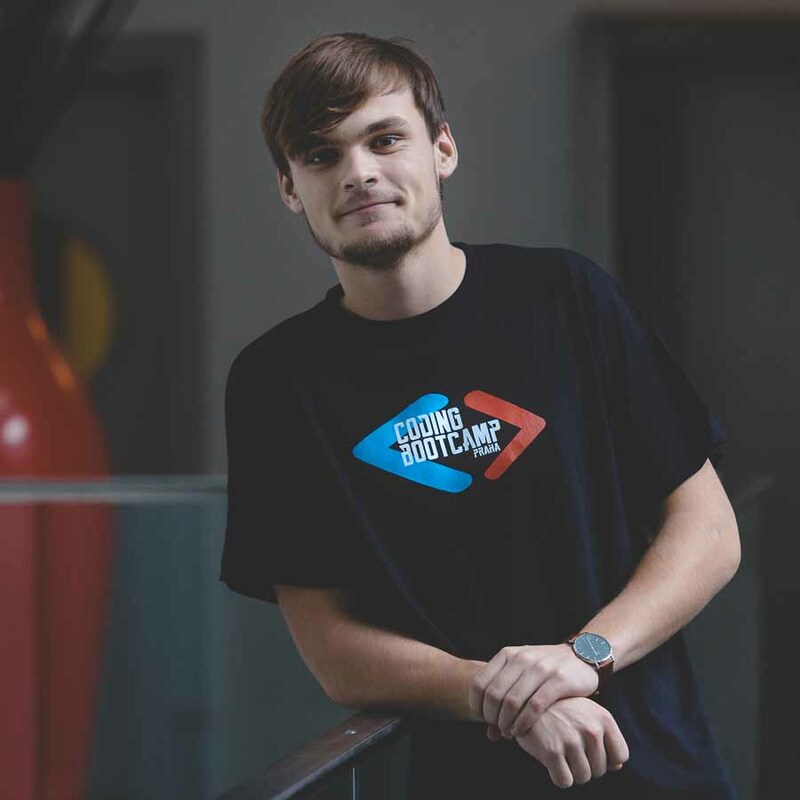 For a junior programmer it is not always easy to find the first job, but with all the advice, help and support from the bootcamp it made it so much easier and I am really grateful. 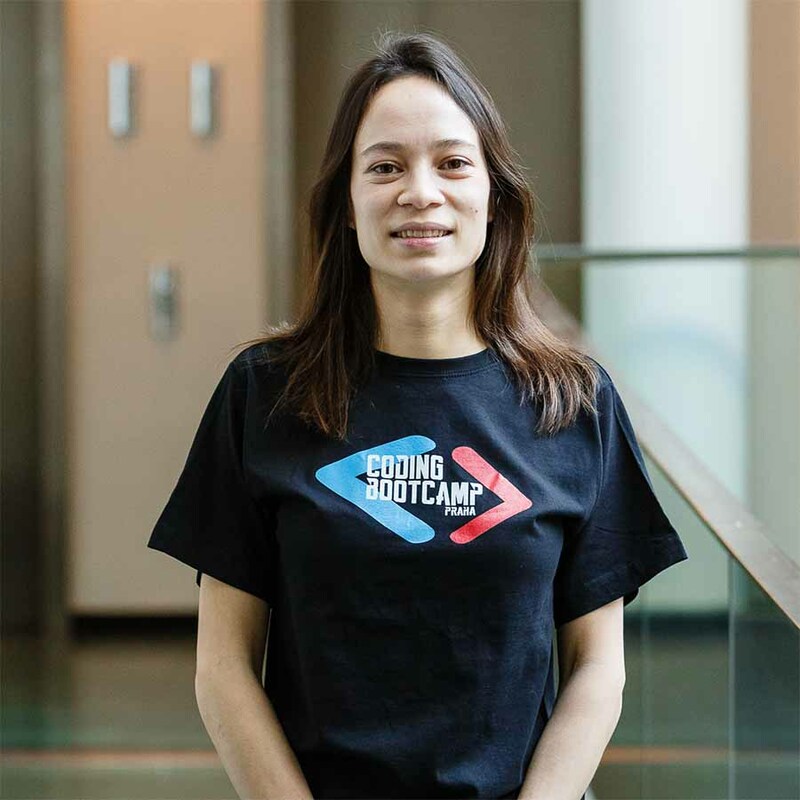 I was so lucky that I found the job already during the last week of the coding bootcamp as a junior back-end developer." 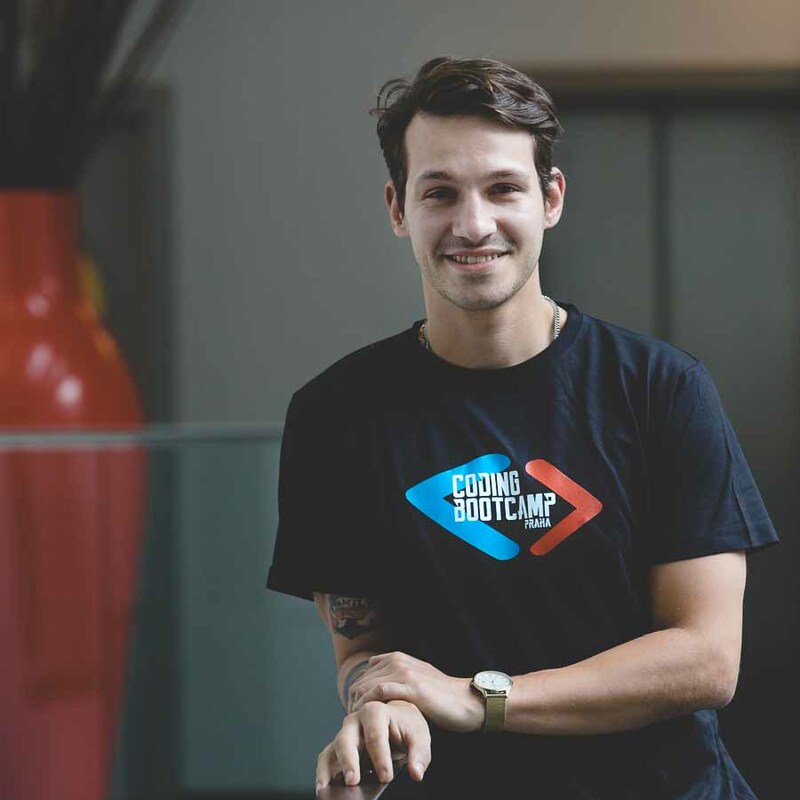 "Great advice, help and support for finding your first job"
"Participating in the Coding Bootcamp Prague early 2017 was one of the best decisions of my life. It’s like pushing the fast forward button in learning. In twelve weeks I managed to master all the necessary skills to code and launch my own web applications and those of others. 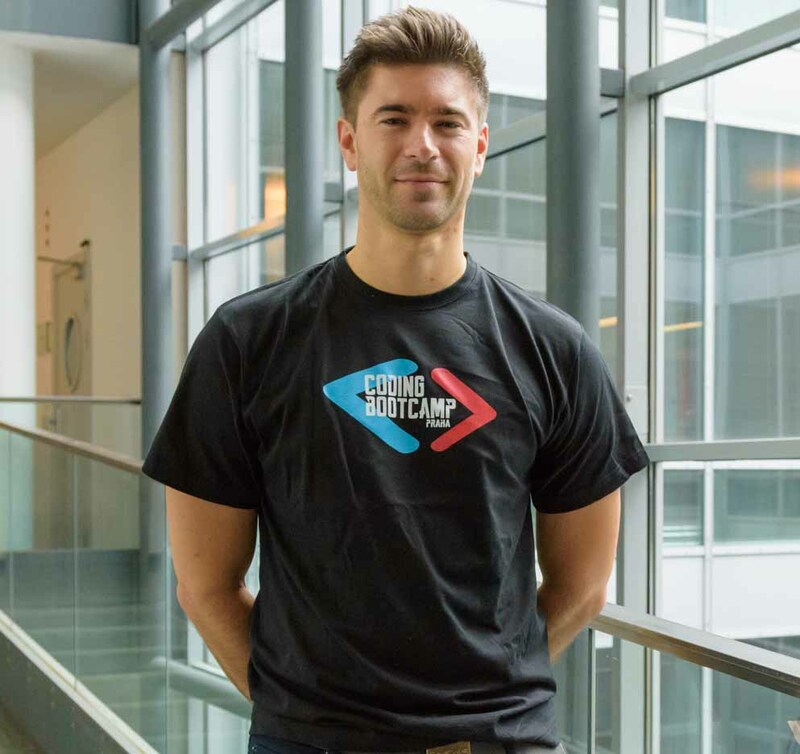 The curriculum, the study atmosphere, the course structure and the professional staff all contribute to making this bootcamp one of the best coding schools on the planet. The program is incredibly intensive, but for those who struggle there are sufficient opportunities to receive additional personal support and catch up. 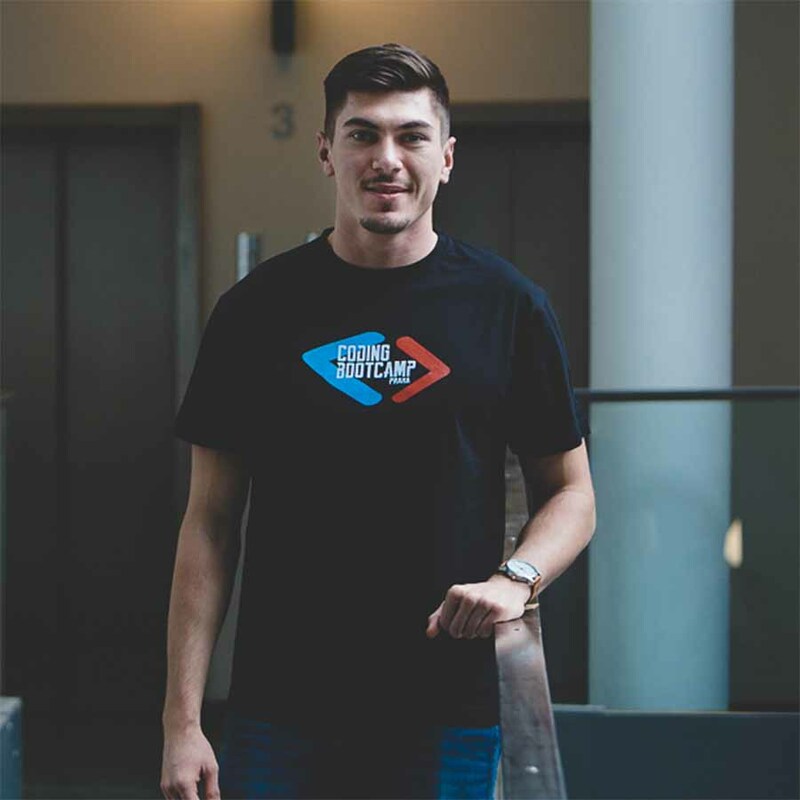 I would recommend the Coding Bootcamp Prague to anyone who is looking for an professional, effective and unforgettable experience that will kickstart a new career in software development." "It's like pushing the fast forward button!" "I had a good time at the bootcamp, the teachers and students were very friendly and the atmosphere was conducive to learning. The teachers were knowledgable about the subjects and helped us with any problems we had. Overall I have progressed enough to be able to find a job in web development." "When the atmosphere is conducive to learning is easier to learn"
"Coding Bootcamp Praha has been a wonderful experience, being sunk in a driving environment with like-minded people that share the same goal of learning how to code, for three months. Perfect way to make ones laziness go away and learn! Beware: You might dream of code." "You might dream of code!" The bootcamp is a life-changing experience and provides you with a coding family - during and after the programme. Our students come from all walks of life and they leave as trained software engineers. The number one ingredient for you to successfully switch careers is an immersive environment - getting support for experienced instructors but also motivating each other with your fellow students. You will be all learning intensily and going through the same struggles for 12 weeks and you will leave with friends for life. We organise a number of events during the bootcamp - Welcome Parties, Alumni Events, HR and Career Support Workshops, Hackathons, Demo Days, and invite you for workshops of our partner companies. We are proud to have 30% female students on average in the bootcamp. To support our female graduates, we organise regular Female Geek Dinners. The app helps people who are searching for a perfect gift or reach a goal by seeing progress and getting motivated by others. 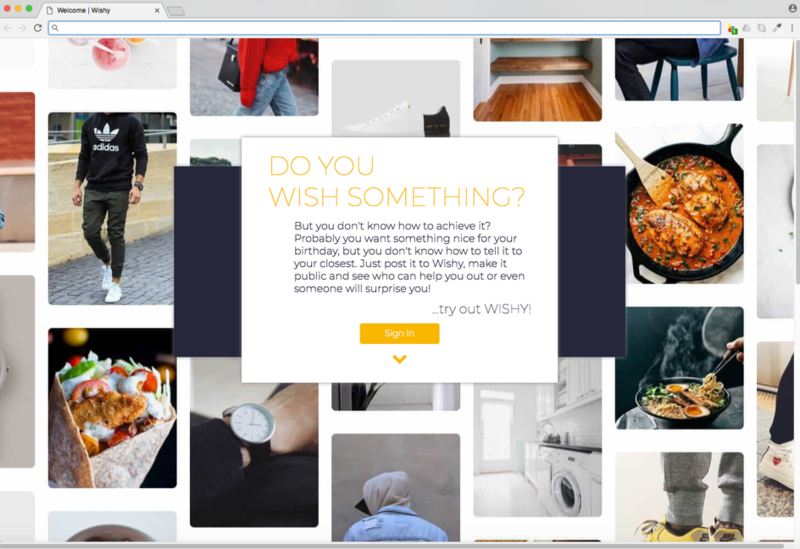 You can create your secret or open wish list so that your friends or family can get ideas of what to give you for your upcoming birthday. Or set goals and milestones to reach your new year's resolutions. Built with React and Laravel. 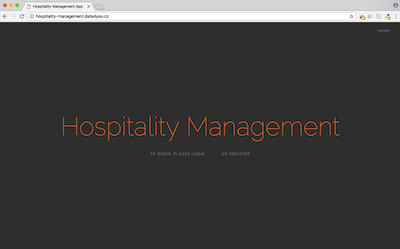 Hospitality Management app enables any facility team to take care of the various flats rented through platforms such as Airbnb. Need to manage a small or big team in an efficient way? This is your solution. Also, the app serves as a communication tool for the landlords and simplifies for them all the necessary legal and organisational procedures. Built with Laravel and React by a team of three. The main idea of the project is a beer selection website allowing users to choose the different attributes of their own personal beer. 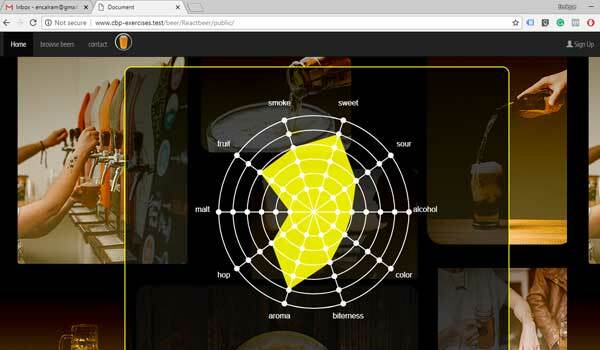 Users can create their own beer flavours using the website, generate a list of beers they have selected, and interact with other users. 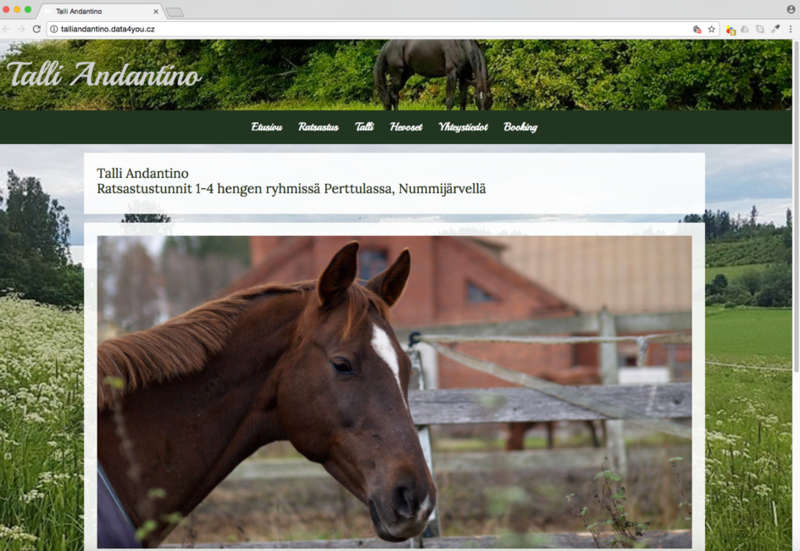 The website is a booking system for horse-riding lessons. Created for a real client in Finland. The customers can book specific horses and instructors. The client can administer the platform through his own admin interface. BigDayOut reflects the millennial desire for more genuine experience and an element of surprise. The app allows you to book surprise activity package based on your pre-set preferences and budget. The customers only get the details of what they booked few days in advance, thus be ready for an adventure. 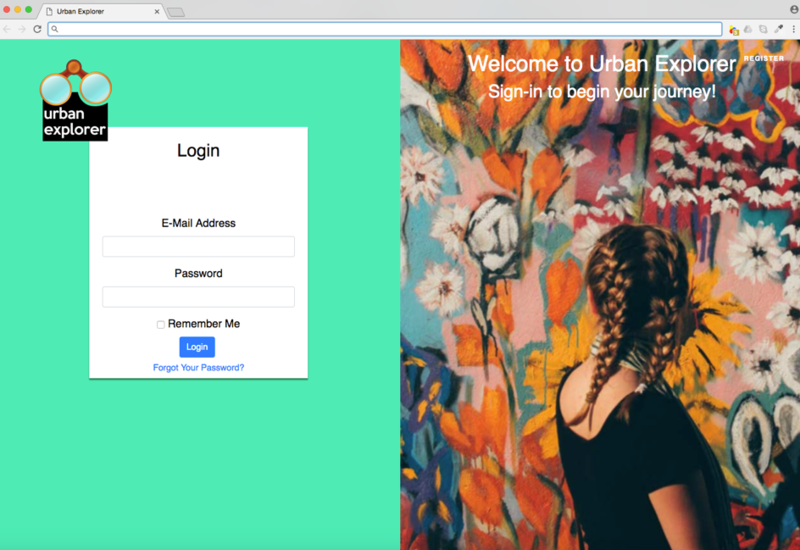 Urban Explorer allows you to visit cities in a more genuine way - by getting recommendations from locals. 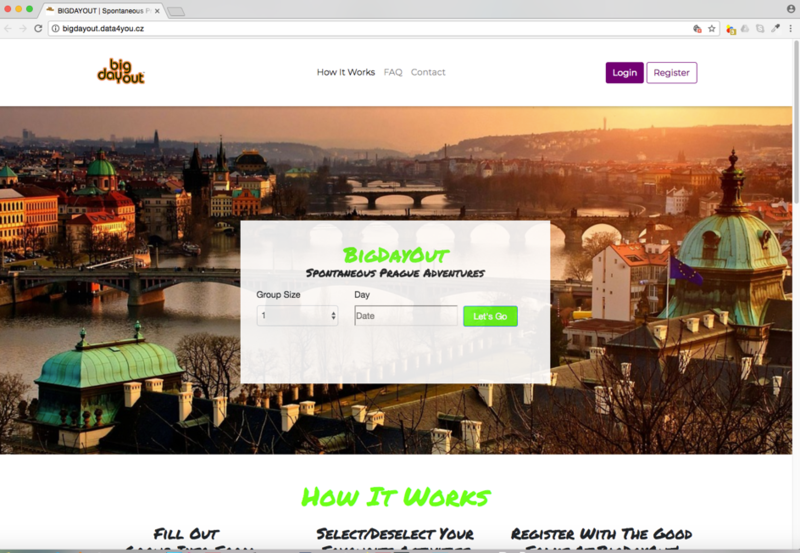 In this web app the user can create a list of places and invite others to visit these and rate their experience. Good way for exploring new countries also for solo travellers as you can also meet up with locals through the app.